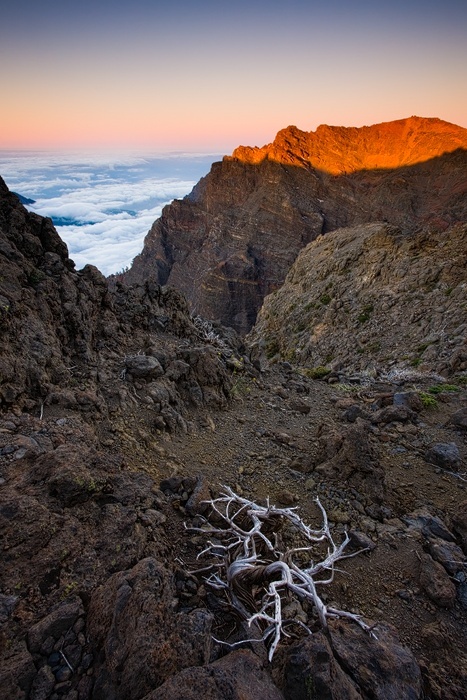 The early morning sun illuminated the peak of the caldera rim. It's a deserted and dry landscape there because the rain clouds don't reach that high. Only stones, roots, bushes and mosses are what you will find at this altitude of nearly 2400 meters.